Happy Wednesday to you all! 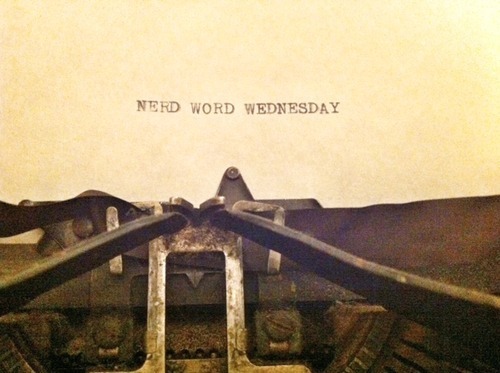 It’s already the middle of the week and time for another Nerd Word. The culinary term for this week is“slurry”. This cooking method will commonly appear in recipes for gravy and other various slightly-thickened sauces. a semiliquid mixture, typically of fine particles suspended in water. So the above definition is our “straight out of the Webster”information, but we need to elaborate a bit more as to how this applies to cooking. Slurries are one of the four methods used to thicken liquids such as sauces, using various forms of starch. This process can become quite precarious as starch will immediately form into a partially gelatinized lump of flour, cornstarch or arrowroot when mingled with heat. This result is resolved with the help of a slurry. Starch is whisked into cold H2O and slowly added to the hot liquid. With this method the granules are wetted and dispersed before they are mixed with heat. They are then able to handle their engagement with other liquids at gelation temperatures. After the slurry is incorporated, the sauce with begin to thicken and form a smooth liquid. Slurries are a handy little gem and this technique will improve your next gravy if nothing else. Happy Wednesday to you all!